Dr. Jacob “Jack” Kevorkian (May 26, 1928 – June 3, 2011), commonly known as “Dr. 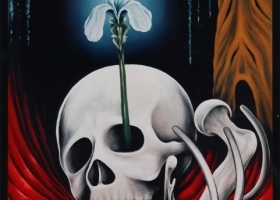 Death”, was an American pathologist, euthanasia activist, painter, author, composer and instrumentalist. He is best known for publicly championing a terminal patient’s right to die via physician-assisted suicide. 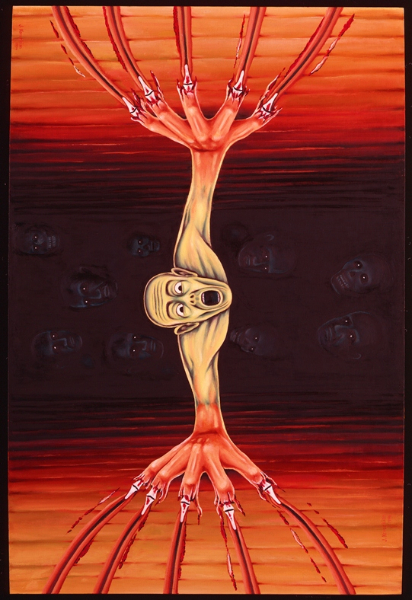 Although best known as a physician and as a social activist, Dr. Kevorkian was also a painter, who, not surprisingly, explored the darkest aspects of human nature through his artwork. 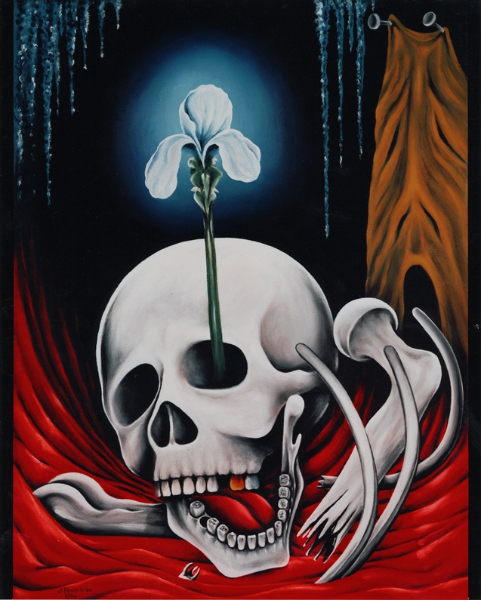 As an oil painter Dr. Kevorkian marketed limited quantities of his visual artwork to the public. 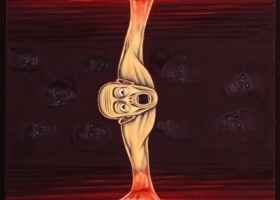 There are only eighteen pieces of Artwork by Dr. Jack Kevorkian , four pieces of which are currently in the exposition of the Armenian Library and Museum of America in Watertown, Massachusetts and the rest fourteen pieces along with the Radio and the famous hand made Thanatron of Dr. Kevorkian are exclusively available only at Mkrtchyan Art Gallery in Glendale, California.